Home » World Affairs » Environmental Damage: Solution or Acceptance? Environmental Damage: Solution or Acceptance? 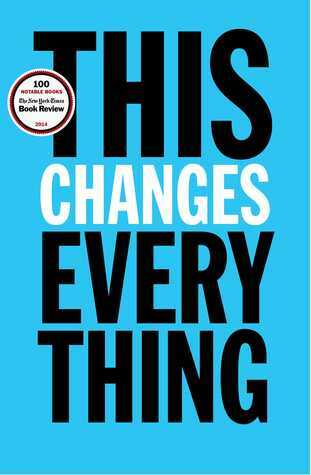 The problem with Naomi Klein’s This Changes Everything, is that it is long on defining the problem but vague on solutions. Klein cites various books and articles claiming it is possible to switch 100% of energy production from fossil fuels to renewables in a relatively short time frame (20 to 40 years). I’ve looked at some of those articles and, whilst the solutions they offer are technically possible, their practicality is questionable. Jacobson and Delucchi, for example, in their 2009 Scientific American article, claim the 100% could be achieved world wide by 2030. This plan requires, among other things, the construction of 3.8 million 5mw wind turbines. All very well, but that’s 3.8 million huge concrete towers erected on massive concrete foundations. The Irish concrete producer, Ecocem, in a document discussing the design of towers for turbines, indicates a requirement of 1050 tonnes for a 100ft mast and 3000 tonnes for the foundations of a 4.5mw turbine. The production and transportation of such vast tonnages of concrete requires the input of enormous quantities of energy. The previously cited document suggests 88 tonnes of CO2 are emitted in the construction of a 70m tower. Many of the towers currently proposed for installation in Ireland are in excess of 100m. The manufacture and transportation of the turbine blades also uses energy. The raw materials for concrete also involve environmentally damaging extraction and refining processes similar to those to which Klein objects. The turbines themselves, and the related electronics and distribution systems, involve the use of various exotic materials whose extraction and refining also use energy and are also damaging to the environment local to their production. Similar objections can be leveled at solar arrays (the article proposes the deployment of 1.7 billion 3kw rooftop photovoltaic systems). Other renewable sources of energy include bio-fuels as replacement for gasolene, and bio-feedstocks for electricity generation. But growing plants for such purposes either displaces land that could be used for food production, or necessitates the clearance of rain forest on a massive scale. I would have to question whether either ought to be condoned by anyone concerned about the environment. As an example, the opponents of wind power projects in Ireland propose the conversion of Moneypoint, one of the country’s coal fired power stations, to bio-feedstock. This would, according to the report they commissioned, involve the importation of wood chips from the USA. I am prepared to accept the possibility these would be sourced from sustainable forest sources. However, the fossil based energy used transporting such products, from forest to port and then across the Atlantic, has to be set against the claimed reduction in coal usage in Ireland. Perhaps Klein, whose self-confessed agenda is the overthrow of free market capitalism, is less interested in the replacement of fossil fuels with renewables than she is with the creation of a world in which present levels of total energy use are dramatically curtailed. It’s a frightening prospect but one which my grand daughter’s generation will have to face. By franklparker in World Affairs on November 7, 2015 .